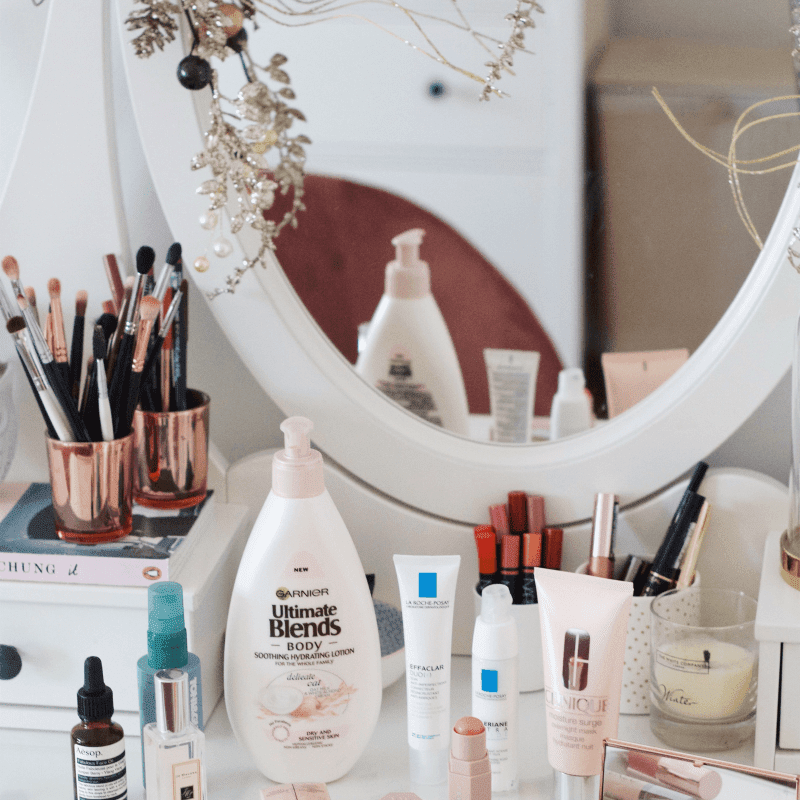 Last year I wrote a post about my beauty goals and wish list for the year and it was one of my favourite posts from last year, so I decided to do another one! 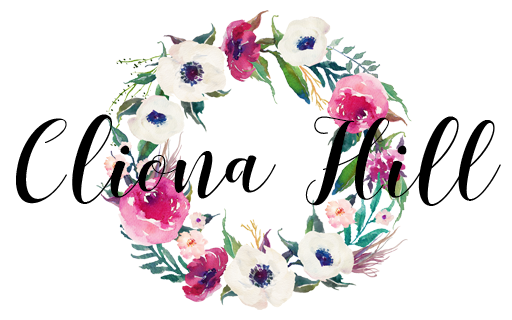 Having a list of areas of my beauty routine that I want to focus on really helped me reduce the number of products I bought last year, and I only bought products that I needed or really wanted and thoroughly thought through before purchasing. I've always done this but I wanted to refine my beauty spending even more so that I can focus on using up what I already have in my collection! 1. 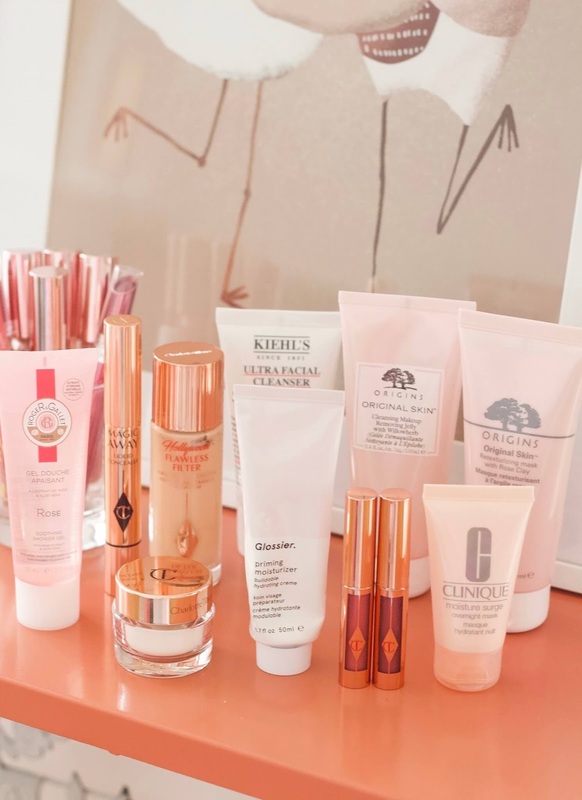 Cream Products: I wanted to incorporate more cream products into my makeup routine last year and I ended up loving cream formulas more than my powders! 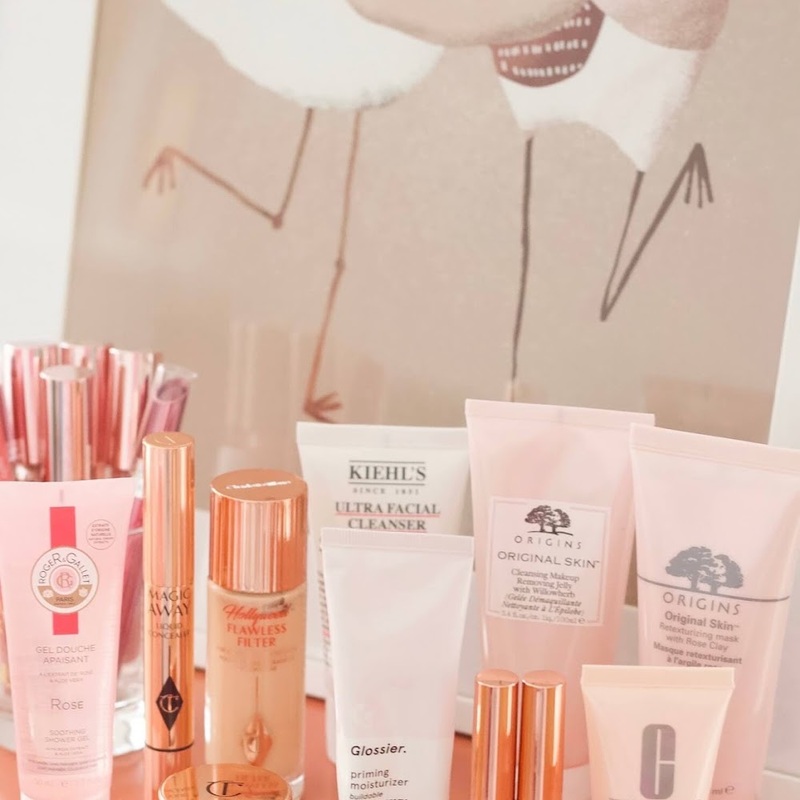 The best products I discovered were the Charlotte Tilbury Beauty Light Wand, Hourglass Vanish Flash Highlighting Stick in Champagne Flash, Fenty Beauty Match Stix in Yacht Life and the Glossier Cloud Paints in Beam and Dusk. 2. Glossier: My next wish was to finally try some Glossier products and I was so excited when they started shipping to Ireland last Summer! I bought the Phase One Set and two Cloud Paints to get me started and I loved the products! The cloud paints were my favourite products I tried from them, in particular, the shade Dusk as I was able to use it as a bronzer and blush in one. I love multi-use products that make my beauty routine shorter and it was so handy in the Summer when I didn't want to wear too many products. Their products are perfect if you like that fresh, minimal makeup look like I do! 3. Skincare: My 2018 skincare goal was to invest more time learning about my skin and what works for me. I've been experiencing acne flare-ups since my late teen years and I started last year with clear skin but towards the Summer, I had the worst acne breakout I've ever had due to anxiety. It was so sore and it affected my confidence a lot but Glycolic Acid really helped heal my skin and it was back to normal towards the end of Summer. Last year, I learned that less is more with my skin and it really benefits from having a simpler routine. I found that double cleansing, 1 treatment product like a toner or serum with salicylic or glycolic acid and moisturiser/ an overnight mask or oil in the evenings, and for mornings, cleanse, hydrating serum, moisturiser and SPF works well for my skin. 4. 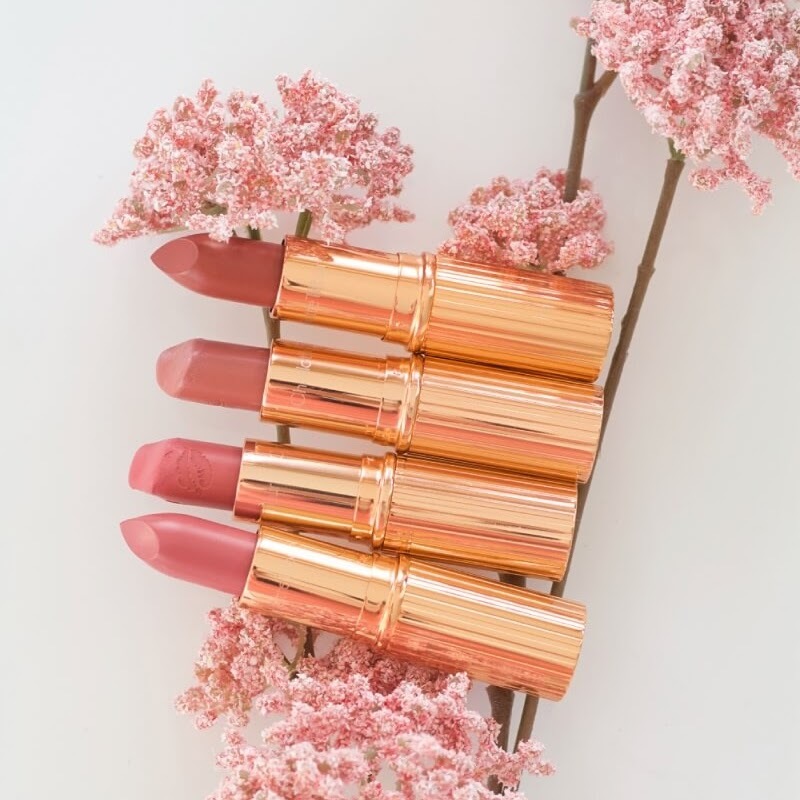 Charlotte Tilbury: After binge-watching all of Charlotte Tilbury's Youtube videos, I fell in love with her approach to makeup - easy to achieve, minimal brushes for application and lots of natural, wearable everyday looks! 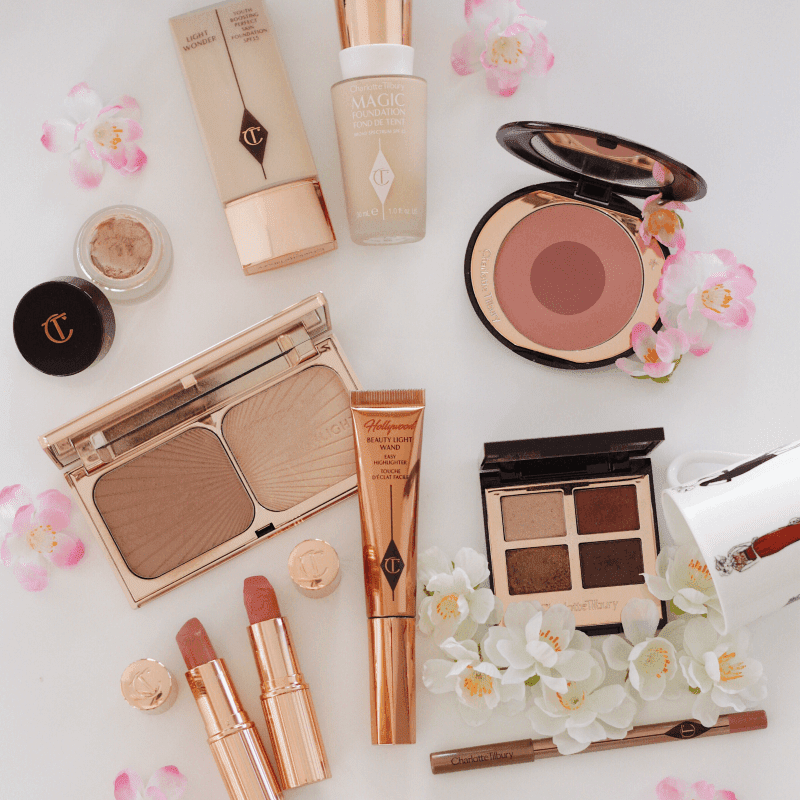 I ended up with a big wish list of products and 2018 was definitely the year of Charlotte Tilbury for me! Some of my favourite products that I tried during the year include Hollywood Flawless Filter, Magic Cream*, Beauty Light Wand and Pillow Talk*/ The Duchess* lipsticks. I can't wait to see what products she's going to release this year! 1. Find A Hair Styling Routine: I'm not the best at hair care and styling but last year I decided to up my hair care routine and I finally found a routine that has helped make my hair feel so much healthier! But this year's focus is on my styling routine and I'm hoping to nail down a routine that will be quick and easy for me to do on a daily basis. I've been on the hunt for a curling wand for ages as the one I have isn't very good and it doesn't give me the result I want. I've been thinking about getting the InStyler but I want to be 100% sure if it's right for me before investing. 2. Mask Regularly: After last year's experimenting, I feel like I'm happy with my skincare routine and I know what works for my skin. Another skincare lesson I learned was how valuable masks are in my routine, not only do they help me unwind in the evenings, I notice a huge difference in my skin when I use them regularly. Some weeks I'll go without masking as I just forget or don't have time or energy in the evenings, but this year I want to set aside at least one night a week for a little pampering face mask session. On my mask wish list is Origins Out Of Trouble and Glow Recipe Watermelon Glow Sleeping Mask. 3. Find My Perfect Foundation: Does this even exist, haha? I've tried so many different foundations over the past few years and some were bad and some have holy-grail status! However, I still haven't found my 'perfect foundation' that ticks all the boxes for me. The closest I've come to my perfect foundation is the Hourglass Vanish Foundation so I might try their new liquid version! 4. 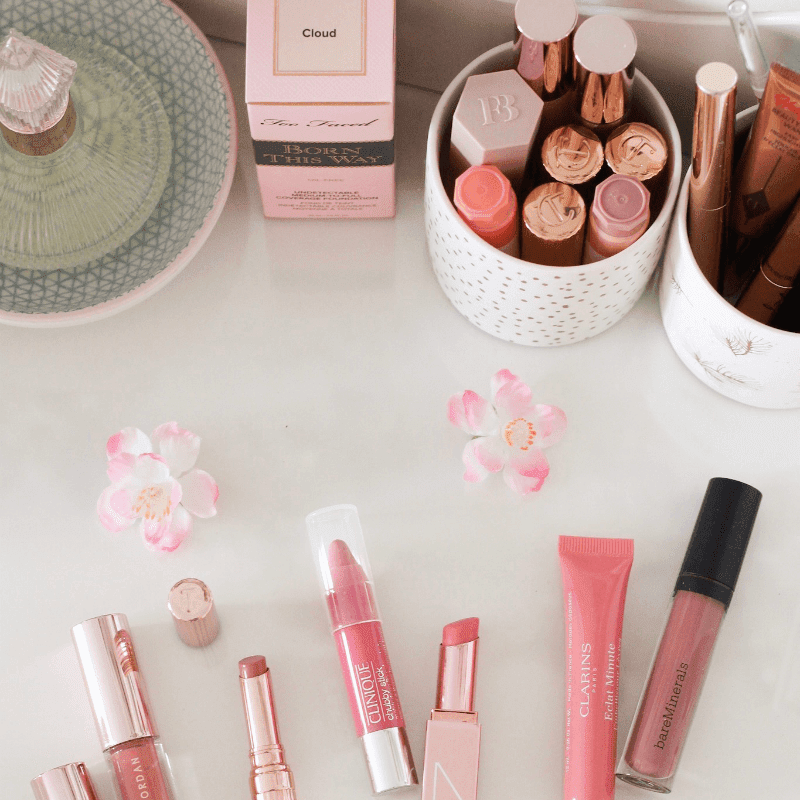 Curate An Everyday Makeup Collection: I love switching up the products in my everyday makeup bag often but this year I'd like to stick to a routine for a bit longer before rotating my products. My makeup bag is quite small and it doesn't hold a lot of products so I'm keeping an eye out for some acrylic holders to put in the big drawer in my vanity table to store an everyday collection of products that's separate from my main makeup collection. I currently just use my vanity for storing sheet masks, skincare minis, nail polish and tools like scissors, nail files etc so I think it'll be nice to have a curated everyday makeup collection in there instead. Have you any beauty goals for the new year? I definitely want to branch out more this year. I only own one high end product and it's from Fenty. This year I want to dabble into more high end products. I have a whole wishlist of products I want to save up for.